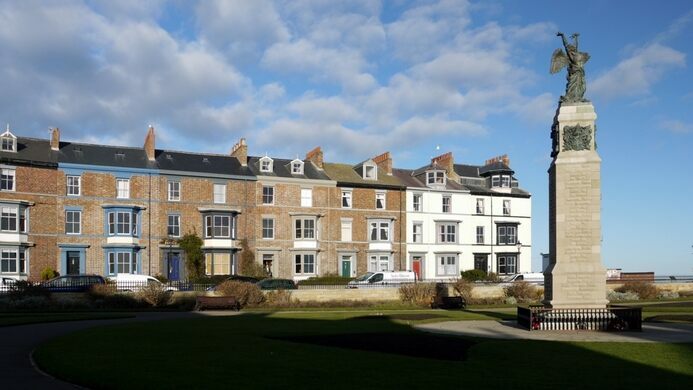 On December 16, 1914, tragedy struck the shores of a seaside English town. A shell fired from a German ship claimed the life of Theophilus Jones, the first war casualty on British soil in nearly two centuries. 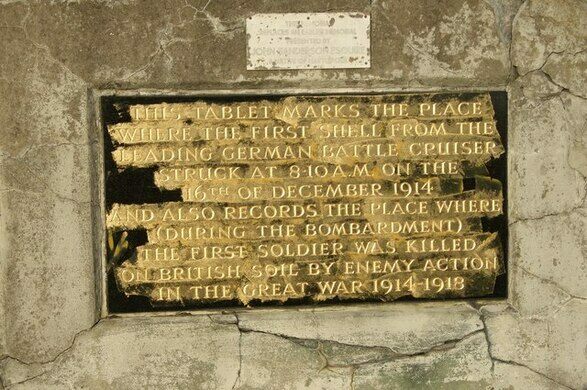 The attacks on Hartlepool, England killed 130 people and injured hundreds more. Derelict chemical plant on the North Sea is a beautiful industrial ruin. The legend of a monkey that was hanged as a spy has inspired not only a football team name, but a successful mayoral campaign. The oldest warship in Europe is still afloat. Though the men who manned the three local naval guns had been warned of a possible attack, no one afforded such a warning to the nearby naval patrol that was supposed to be guarding the seas. This, combined with adverse weather that rendered a portion of the naval patrolling force stuck in the harbor, left the town ill prepared for the raid that was to come. The German boats were able to slip close to the shore. Their munitions fell atop the town, hitting key industrial targets like the steelwork and gaswork factories. The weapons also damaged railroad lines, churches, and about 300 private houses. The town suffered heavy civilian losses as a result of the bombardment. 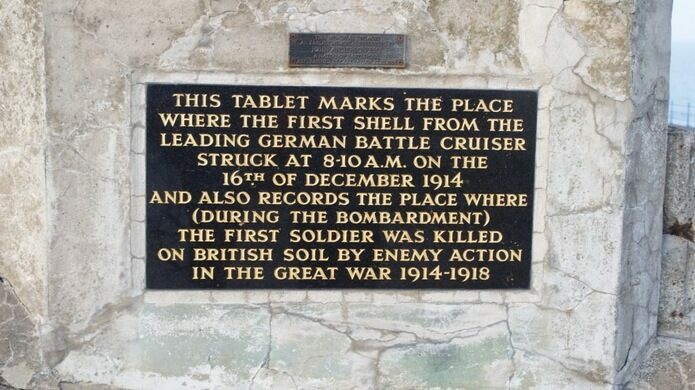 A plaque at the Heugh Gun Battery marks the spot where the first shell struck on that fateful December morning. 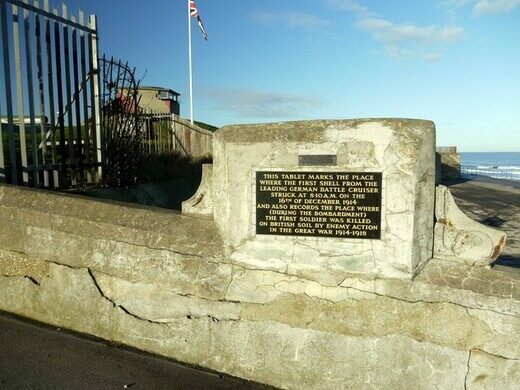 Though it doesn’t name him, the simple memorial also honors Theophilus Jones as the first British soldier to perish on home soil from enemy action during the Great War. GPS coordinates and address lead to the Heugh Gun Battery. Built in 1911, the Tees Transporter Bridge is one of only six transporter bridges still in operation. An overlooked memorial honoring the local Washington residents who died in World War I.